Demand your likeness be carved from stone when you go in this mens plus size Pharaoh costume! 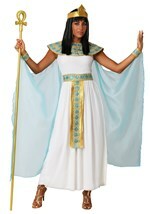 The blue polyester tunic has a screenprinted ankh necklace on the front and velcros in the back. 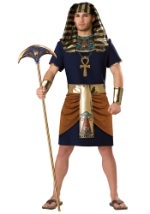 The ankh print is very detailed with gold snakes, golden wings, and blue stones. 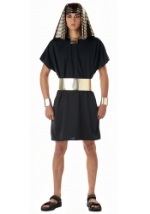 There is gold fabric lining the ends of the tunic's sleeves. The gold collar also has screenprinted designs on it and velcros in the back. The gold belt velcros in the back and has a copper drape hanging down from it. 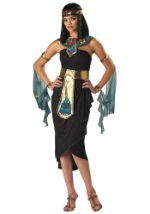 There is a gold sash that falls down from the front of the belt. 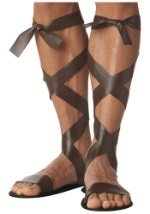 This sash has screenprinted designs at the bottom. 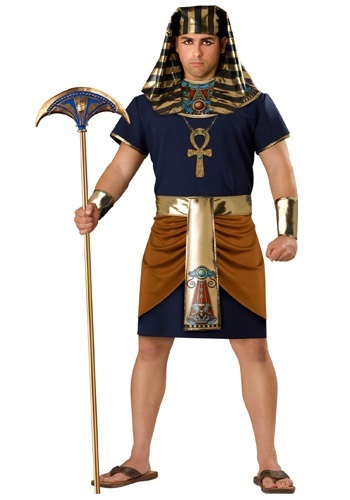 Also included are two gold wrist cuffs that velcro around your arms and a pharaoh's headpiece. 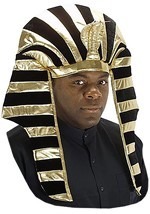 The gold and black headpiece wraps around the head and secures with an elastic strap that velcros along the inside. 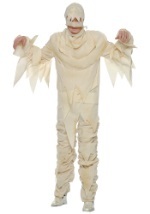 This plus size Pharaoh costume is perfect for an Egyptian couples idea!